This is the tool only, sprinklers sold separately. 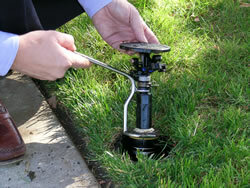 This tool makes quick work of servicing the pop-up impact sprinkler’s internal assembly. 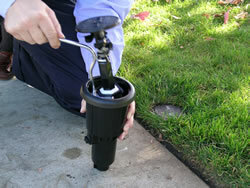 Easily clean or replace Rain Bird impact sprinkler head internal assemblies without digging. 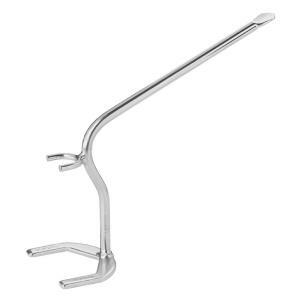 This durable chrome finished tool can be used with RainBird LG-3/Mini-Paw, AG-5/Maxi-Paw and 2045A Maxi-Paw sprinklers. Lift the cap using the flat tipped handle. Unscrew and lift the sprinkler mechanism using the lower hex wrench. 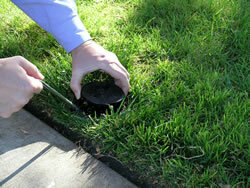 Remove sprinkler head from base for cleaning or replacement.